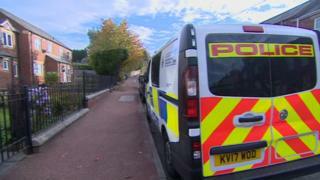 A woman has denied murdering her husband at their Tyneside home. Atakan Atay, 45, suffered injuries which police described as "consistent with a stabbing" at his home in Jasmine Terrace, Birtley, on 18 October and died at the scene. Helena Atay appeared at Newcastle Crown Court via a videolink from HMP Low Newton and pleaded not guilty to murder. The 42-year-old will go on trial at the same court in April.